This probably going to be my last harvest of Tilapia. I needed the backyard to extend my house so the set has to go. 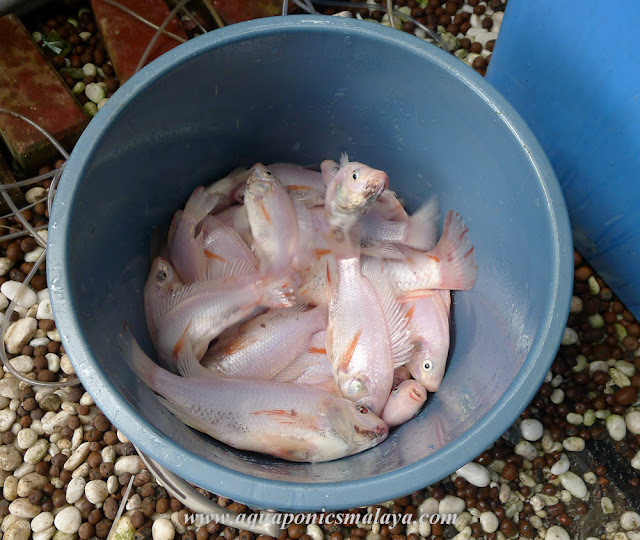 Some photo of Tilapia, and bigger ones already collected few days back. 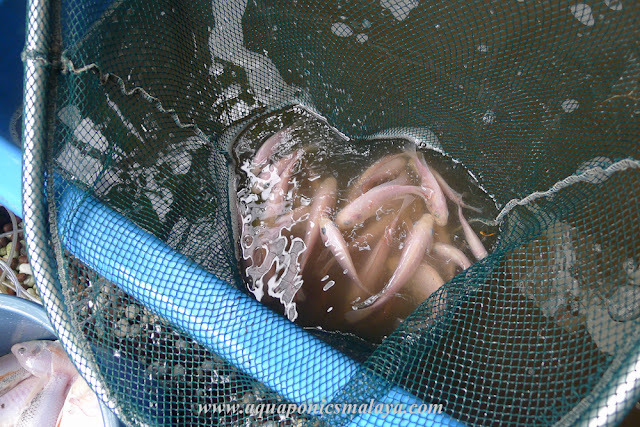 I am going to make pickle fish with these, and will take few days of making it. So I will do it at half a pail at a time. Thank you very much, you have helped me a lot with your knowledge. I now feel that my futue will include a aquaponic set up. Again Thanks! Hate to see you go. 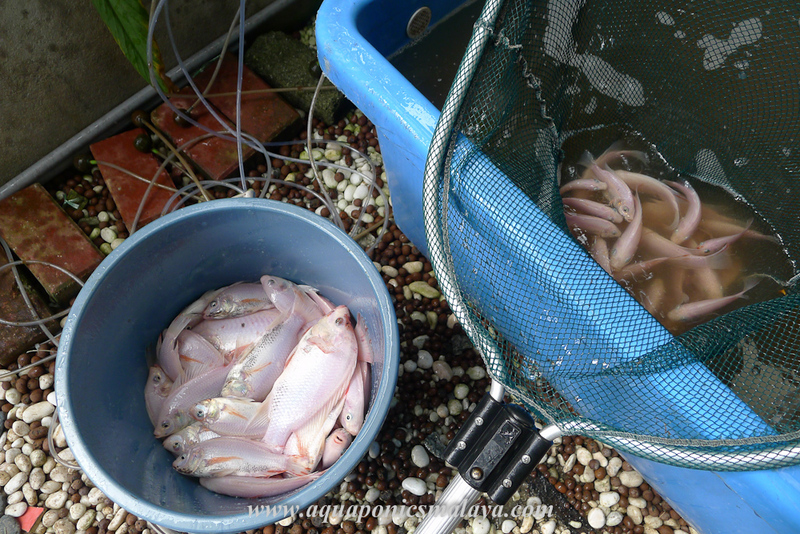 I really learned a lot from you when I first started my aquaponic system. I hate to see you take your system down. Good luck on your renovation and hope you get back to growing soon. ataupun.buat rumah tingkat tapi atas open untuk buat tanaman.hehe. I have learned a lot from you and I will be teaching others what I have learned. I would love to know how you pickle the smaller fish. u r sum1 i respect for ur inovation n sharing it. r u letting go ur fishes n setups? contact me at 014-6023201. v hv emailed b4 at rickylam89@live.com. Hi Ricky, thanks for the comment. Most of the Tilapia I had given away, just few left to ensure set shut down slowly and properly. I will reuse the blue tub for my next setup.. which is smaller in size, however I am very busy currently to make anything until later this year.